What is Best Time To Buy A Mattress And Save Money? When you’re in the market to buy a new mattress, there's a lot to think about from the brand of the mattress to the size right through to the firmness of the mattress. All these factors are combining to give you your desired sleep experience. If you’re buying a mattress, then you may be in a position where it's an instant purchase because you don’t have time to wait for the perfect moment. It could be because you may be moving into an unfurnished property or your current mattress is giving you severe pain. If this is the case, then you can’t wait for the perfect time as the perfect time to buy is right now. Generally speaking, when most of us buying a mattress it's not an urgent purchase that needs to be made right away, and we have the luxury of spending more time in the buying process. It’s recommended that we replace our mattress every 7-10 years which gives you plenty of time to plan to ensure that you buy at the best time. A mattress will often be one of the most significant cost purchases that you make in your life so it makes sense to delay this purchase until you can buy your desired mattress at its lowest price. 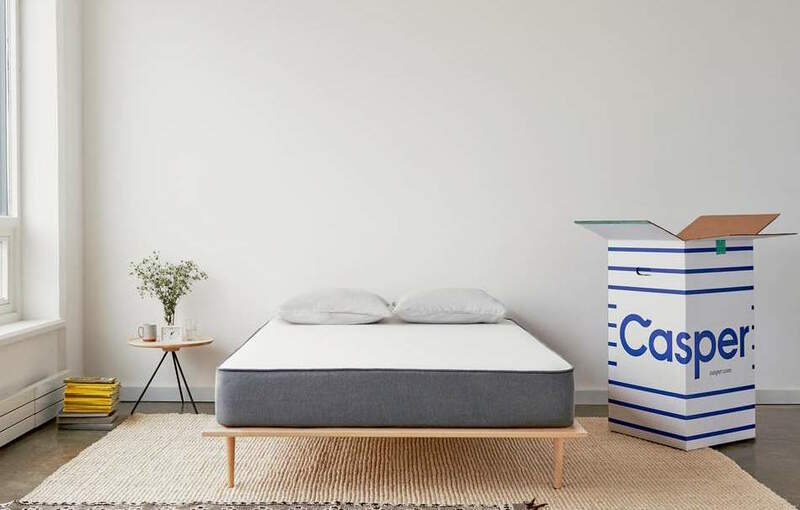 One benefit of the mattress industry is that it's a very traditional market so it’s easy to predict trends and the majority of brands and stores stick to the same sale periods year after year. These four days will often be the best time to buy a mattress because retailers will offer a more considerable discount because they know that there are a large number of shoppers looking for deals and are ready to spend. Also because their competitors are spending money they know that they need to remain competitive and lower their prices. We know that during this time of year you’re going to be focused on buying Christmas and holiday gifts but stay aware of mattress retailers offering discounts because you might catch a bargain! An additional way to get a great deal on a mattress is to keep an eye out for stores that are closing down. These stores are usually in a scramble to shift excess stock before the end of their building lease so they will often have substantial discounts. If you find a mattress with a great discounted deal don’t be afraid to haggle the price down further because the seller is usually desperate to move the stock on so will be more flexible with the final selling price. Just because there is a large percentage sale, it doesn’t always make it a great deal. For example, a 50% deal off one item isn’t always better than a 10% off deal if the 50% mattress was significantly more expensive, to begin with. Try not to be lured in by large discount signs and always check the quality of the mattress and the original selling price, because they may have been originally selling it for much higher than the recommended selling price which then makes the discount look inflated. Never be afraid to negotiate on price, because there is usually always room for a price reduction because the retailers need to shift the stock especially in the slower periods of the year and in sale periods. If you’re worried about approaching the situation, then you need to prepare what you’re going to say and the price you’re willing to settle at which will make your negotiations smoother. As long as you’re not too ambitious with your desired discount level, then your salesperson will usually be open to discounting. Also, come prepared with researched prices from other retail stores or online stores which gives you greater negotiating leverage especially if competitor prices are lower. Sale items can often come with added terms and conditions. For example, some retailers will have a no refund or exchange policy or a lower warranty length. You need to ensure if there are any changes to these terms and conditions before purchasing your mattress. It’s often fine to buy other household goods that are second hand; however, a mattress is one of the things that you really should make sure you buy new. Mattresses are usually sold because they’re generally not good enough for the current owners, so what makes you think that it’s good for you to sleep on? They can also have underlying issues such as bed bugs or may not provide enough support to your back which can lead to back problems. If you’re solely interested in online deals, then the best thing you can do is sign up to your desired retailer or set up a price alert for individual products. This will mean that you will be sent an alert when there is a sale, so you don’t have to keep checking every day if there's been a discount applied. Buying mattresses online is a relatively new trend in the mattress market which has traditionally been centred around showrooms and sales staff. Mattress stores have huge markups to cover their overheads such as rent and staff while online stores can pass these savings on to you. Because of this, you’ll often find that you can get a better deal online compared to a brick and mortar store. Convenience is a huge thing for people in the modern world. Buying online couldn’t be simpler. You can do it in the comfort of your own home without even leaving your bed, and your new mattress will be delivered right to your door and in some cases installed for you. When you go to a physical sales store, of course, you’ll be able to lie on each mattress, but you’ll also have the pressure of sales staff following you around trying to encourage you to buy there and then. When you buy online, you won’t experience this issue, and you can buy at your own pace and leisure. Although brick and mortar stores are catching up, online retailers often offer strong warranty periods with it being usual to get 100 days trial period to test the product with an additional ten-year warranty. Buying online means you are open to an extensive range of choice rather than being restricted to the few mattress retail stores that you may have in your city or town. This opens you up to hundreds of brand and types of mattresses that you may not have even considered. So with the number of sales that are offered over the year, you can time your purchase for the right time to make sure you get your dream mattress for a great price whether this is online or in store. So it pays to do your pre-purchase research to find a mattress that you like and then having the money ready so that you can purchase the moment the price drops.